The long-running row over whether developers should be allowed to build on former sports facilities in the Hyde Park area of Leeds is finally over. 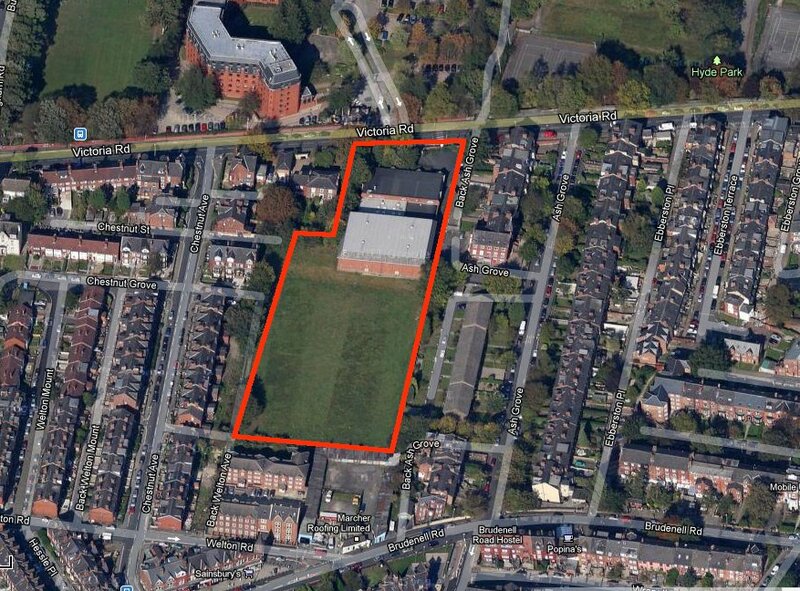 Despite having rejected them as recently as December, councillors today approved plans by developers Chartford Homes and Holbeck Land to build 24 homes and a shop on the site of former playing fields, swimming pool and sports hall of the old Leeds Girls High School on Victoria Rd. The plans have been been vigorously contested by local residents and campaign groups, with support from local councillors. They’ve been fighting to retain the site for use by schools and people in the area – a deprived area that is low on public recreation space and high on obesity, diabetes and cardio-vascular disease. So why did they change their minds? Two reasons: first, they heard advice today on the issue from a QC. And while we don’t know what the advice was (they discussed it in private after the press and public were excluded), it won’t have been to encourage them to stick to their guns and reject the application. Secondly, planning officers made it clear to the councillors on the Leeds City Council planning panel today that the developers’ patience had run out: they’d waited a year for the council to make a final decision on the application and if none were forthcoming today they would go to appeal. Which left the councillors in a fix: reject it and face an appeal, stall and face an appeal. An appeal which the developers would almost certainly have won – probably at considerable cost to the cash-strapped council. 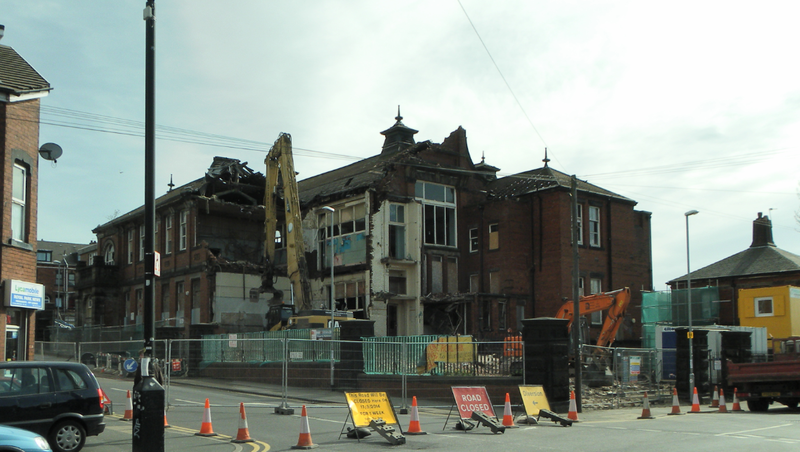 Royal Park school: controversial demolition making way for new park? 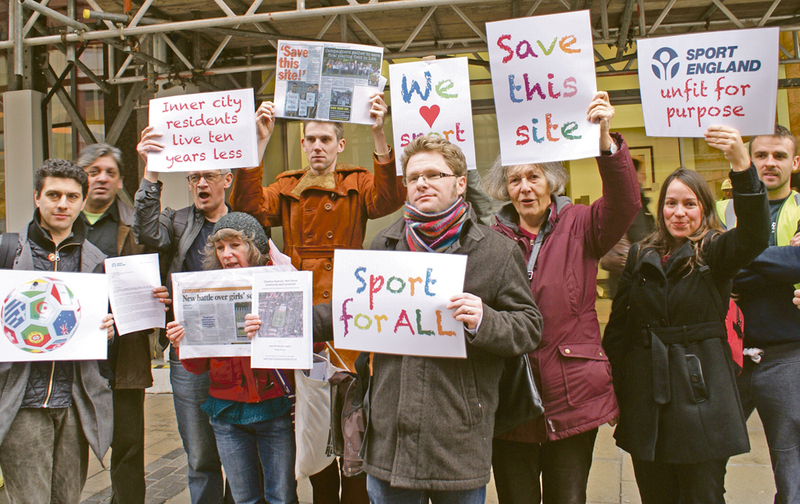 In the end, the objectors’ arguments to save the field and buildings, and their representations to national sports and health bodies, didn’t stack up … in terms of the way the planning system works. Some glimmer of light, though, for local residents wanting to secure more recreational space in the area. It was revealed by local councillors at the meeting today that council leaders have promised not to build on a site 500 metres away, where the council is currently finishing the controversial demolition of the much loved, old Royal Park Primary school. There’s apparently money available to turn the demolition site and adjacent council-owned land into a new park (“public open space”), which will be designed, it is said, with input from local people. As recently as January this year, public pronouncements were saying that the site would be grassed over temporarily “until a deliverable primarily public sector, affordable housing or community use is brought forward”. Maybe a new park is what they’ve always had in mind as “community use”. This entry was posted in Uncategorized and tagged chartford homes, cllr john hardy, holbeck land, hyde park, leeds, leeds city council, leeds girls high school, victoria road. Bookmark the permalink.